D.E. was kept locked in the basement, where investigators found urine and feces in his bed. His younger sister reported that he was often beaten and locked in the basement as punishment for stealing food. When he was found he was covered with bruises and scratches and was hospitalized for malnourishment. The Hendrixes reported that they deliberately did not seek medical care for the boy for two years. 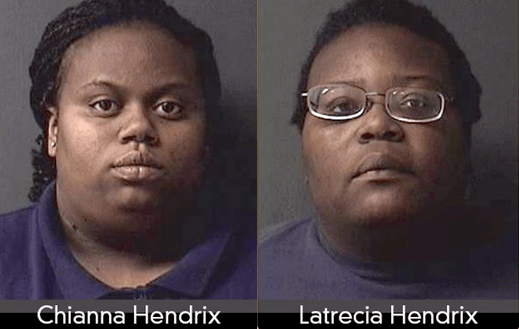 Chianna Hendrix ran a home day care and LaTrecia Hendrix was a public school teaching assistant. The abuse came to light when the boy ran away from home in March 2015 and was found by the police. The Hendrixes were both charged with child abuse.